Along with the kitchen, we find that bathroom renovations deliver the most ‘bang for your buck’ when it comes time to sell. There’s little buyers love more than a sparkling new bathroom. Not to mention the value you and your family will get out of a new bathroom while you live in the home. As one of the most regularly used rooms in the house, a well-designed bathroom has the potential to be a calming and relaxing space that you can escape to whenever you are in need of some rest and recuperation. Choosing from a vast range of Materials, Colours and Finishes we design and build your bathroom using our team of skilled tradesmen. We specialise in complete bathroom renovations – custom bathroom cabinets and functional hardware are just some of what we offer. With a wide range of products, fittings and styles available, trust us for your bathroom renovations and remodelling. Melbourne home-owners can call now on 03 9729 8211, or arrange an obligation free design consultation via our contact page. We’re the local bathroom company Melbourne’s Eastern Suburbs can count on for top-quality bathroom renovations. Our range and eye for design can help turn your drab and out-dated bathrooms into sleek, modern and cutting-edge spaces, tailored to you and your family’s lifestyle. Balwyn, Bayswater, Doncaster, Eltham, Warrandyte, Wheelers Hill, Wantirna, Hawthorn, Kew, Malvern, Toorak are just some of the suburbs we’ve serviced in our time. Because the bathroom is generally a small space, clever and creative design is crucial to really make the most of it. One of the main benefits of using Grandview Bathrooms is that our expert designers will help you create a bathroom that combines style with the ultimate in practical functionality. Every bathroom is unique which is why we ensure that all design elements are perfectly matched according to your particular wants and needs. Our talented designers work in synergy with our Master builders to create custom bathroom renovations perfect for your family. Not only is the end result aesthetically stunning, its durable, modern finish is also built to last. All of our costs are provided up front and we are happy to work within your budget to ensure you get as many features as possible. We work with premium brand name suppliers of bathroom accessories which enables us to deliver high-quality features every time. One of our talented designers will assist you in choosing everything from the colour and tiling scheme to the type of toilet and bath. We understand how to make colours and textures work so that your new bathroom has a mood enhancing feel. We’re also highly experienced in increasing your cabinet spacing to improve functionality. There are many directions you can choose to take that will transform your bathroom environment into something truly unique and impressive. There are some aspects to consider when planning your ultimate bathroom renovation. Tiling is a great way to make your bathroom your own. Tiles are not limited to your floors and do not have to be ceramic. Due to the nature of bathrooms, stone tiles are never out of the question, and provide a unique visual appeal for your bathroom that you won’t find in any other material. Finding the right vanity for your bathroom is a must. Depending on the look that you are trying to achieve, you may want to look at attractive Caesarstone or quartz benchtops. Whatever vanity you choose to go with, make certain you choose a quality vanity that can handle the humid environment that it will be placed within. 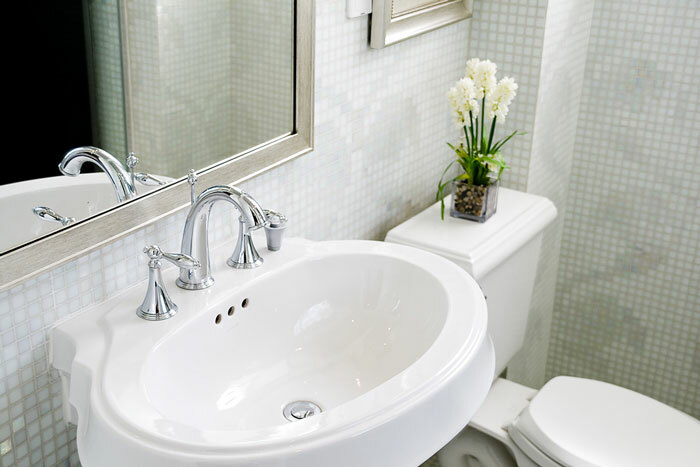 Renovating a bathroom is the best time to add new fixtures. There are plenty of bold choices out there from a variety of high end manufacturers, but sometimes simple might also be best. If you are installing stone tiles and countertops, consider updating your bathroom with fixtures that fit this modern appeal. Lights are something that can be easily taken for granted when it comes to your bathroom, but proper lighting will help to transform the mood of your design and draw out its greatest strengths. Your bathroom simply will not look its best without a well thought out lighting plan. No matter how great your bathroom might look it has to remain functional. This means making the most of the available storage space. Well thought out and creatively designed linen closets, cabinets, and shelving are all options for keeping your design functional and should never be overlooked. 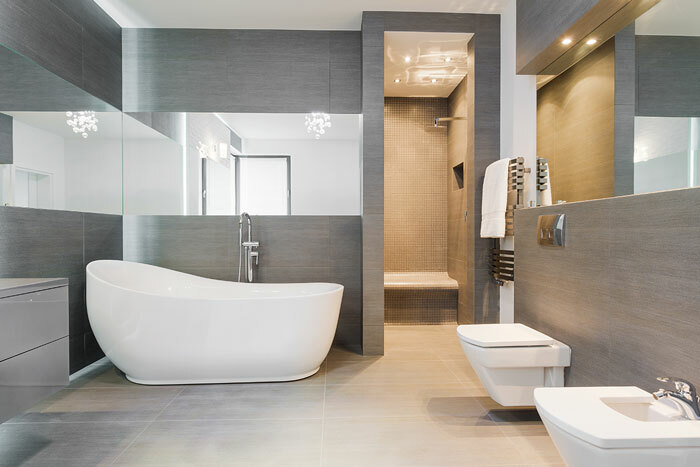 When it comes to bathroom renovations Melbourne home-owners can count on for affordable pricing and quality fitting, Grandview Bathrooms is leagues ahead. Add style and functionality to your existing bathroom today – contact us to see how much a renovation might cost you, or call now on 03 9729 8211. Grandview Kitchens and Bathrooms is Melbourne’s first choice for custom-made bathrooms and renovations.